First game of the championship round faced us a against Team Quebec and we came away with a victory leaving us at 6-1. We had a couple of meals at Team Sask Headquarters that our loving moms have prepared for us all week. Love the support! We were then on stage at the Art Hauser Centre patch for their up and close interviews. Various teams go on stage and are asked questions about the team. We then watched Team Sask Women’s team pull out a victory against Team Nova Scotia in their first championship round game. Then a quick 10 pm practice and it was back to the hotel for daily debrief and then off to bed. 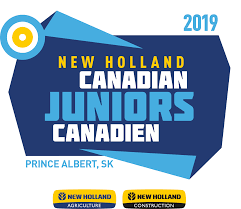 We play Team Northern Ontario at 9 am tomorrow. 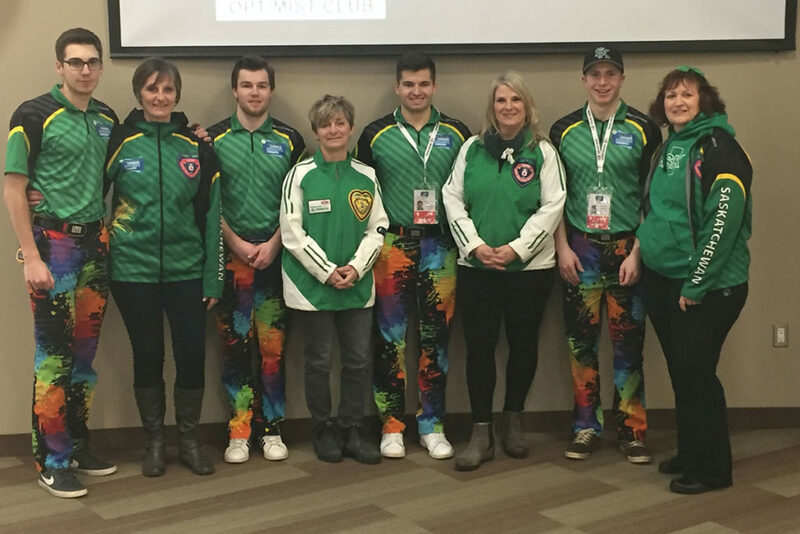 Team Kleiter posing with their mothers at Sask Head Quarters in Prince Albert.